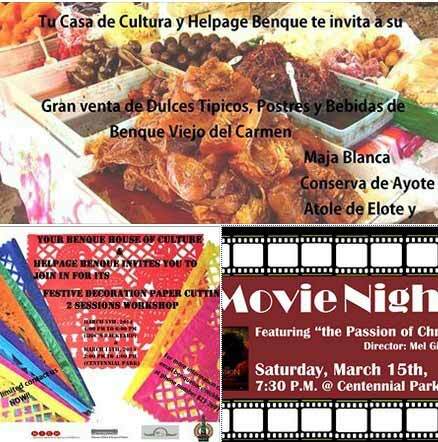 The Benque House of Culture is teaming up with Helpage Benque, and having a cultural fair this Saturday, March 15th. It'll start at 2:00pm at Centennial Park and the Benque HoC. There will be lots of food, and a decoration paper cutting workshop. "All these activities happening this Saturday March 15 @ the Centennial Park since 2:00 pm. Don't miss the watery tasty 'cocoyol, maja blanca, dulce de panela and much more' Also register now for the 'papel picado workshop' and let's end the day by watching the 'Passion of Christ Movie.'"